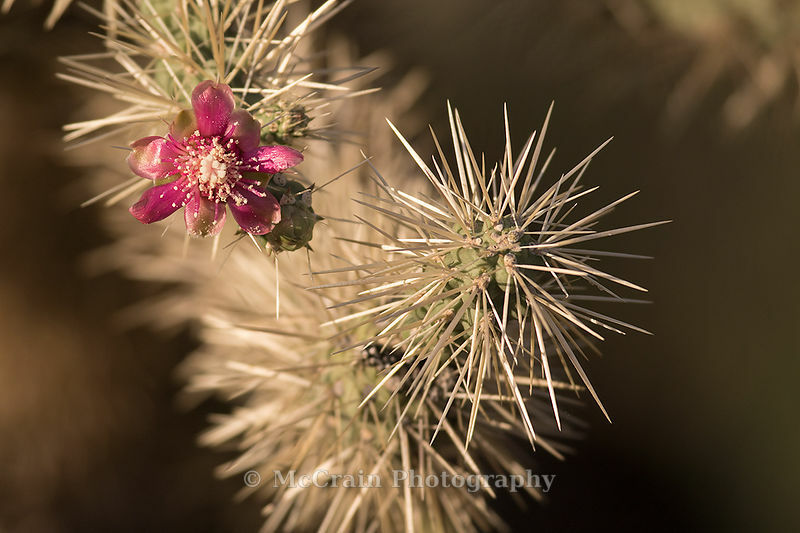 There is something about the Sonoran Desert that resonates with this boy from the Pacific Northwest. Maybe it was all those cowboy movies I grew up with. Whatever it is, the place has a special pull for me. This year our annual trip was later than normal and after a very wet winter things were blooming earlier than normal. 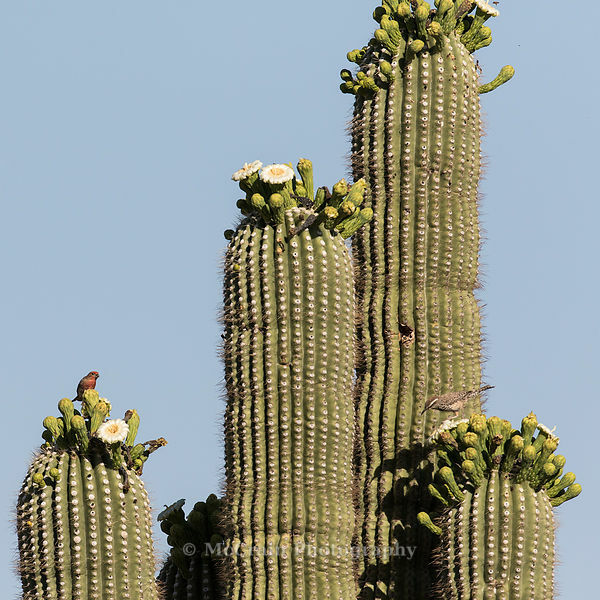 The saguaro cactus were blooming, the hills were yellow with palo verde blossoms, and the birds were thick. Here are a few pictures from our first day which ended with a nice surprise. 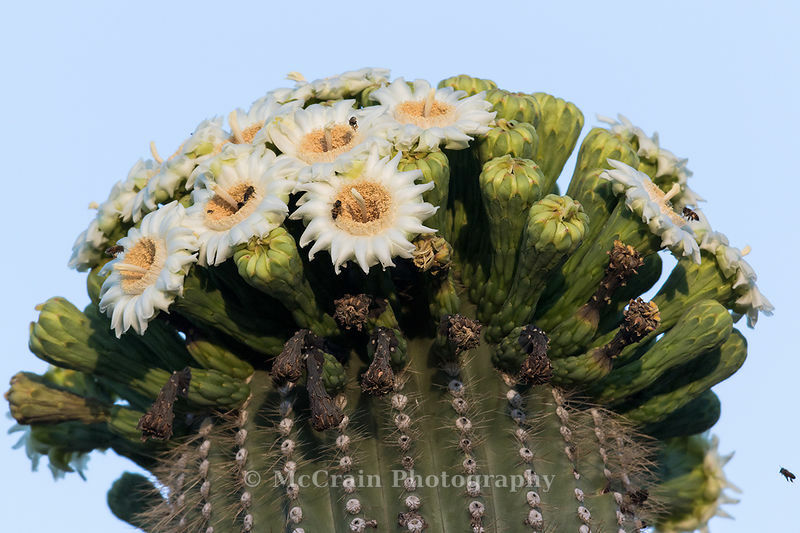 Take a close look at the flowers. The bees just love them. 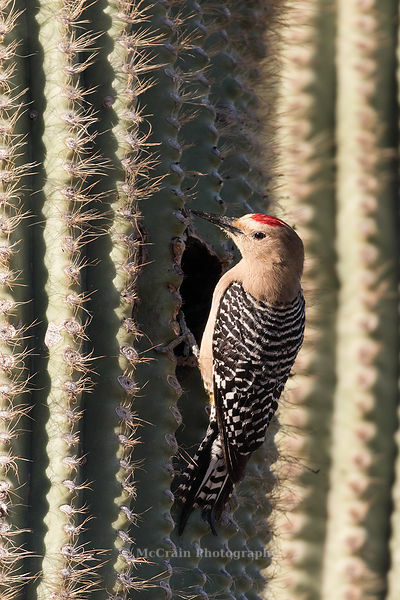 This male Gila Woodpecker and his mate were very busy feeding their brood in this cactus. 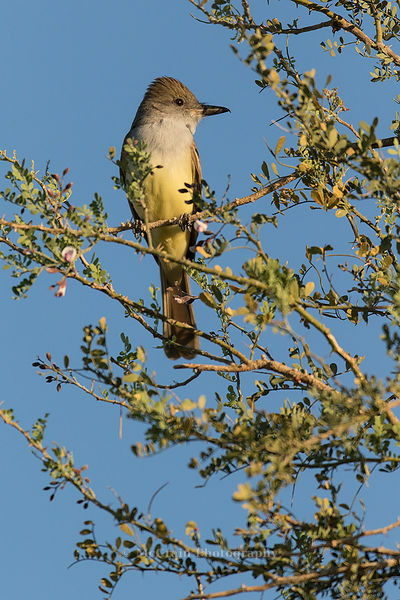 There were numerous Ash-throated Flycatchers out. 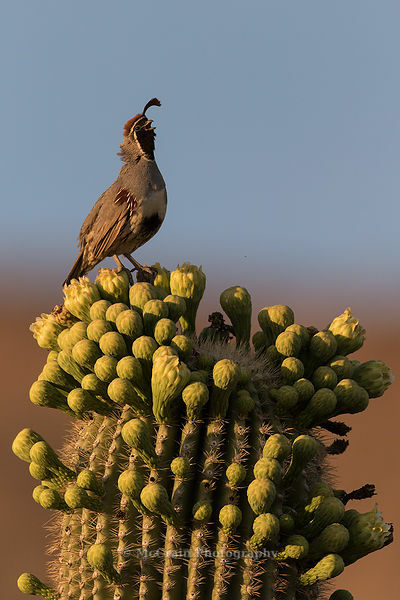 As the sun was setting this Gambel's Quail perched twenty feet up in the air to proclaim his territory. 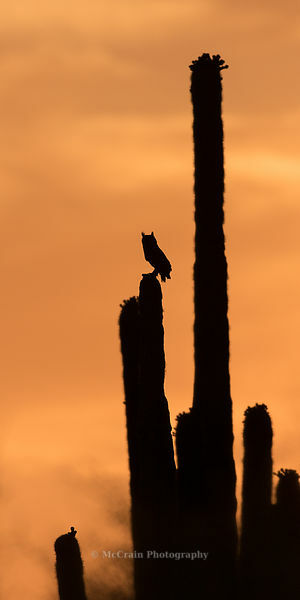 On the way home after the sun had set we saw this Great-horned Owl perched atop a Saguaro. It was a great way to end the day.